Today Gerber Life Insurance is licensed to provide life insurance throughout the United States, Canada and Puerto Rico. We have more than $40 billion of life insurance in force, and help provide financial security to over 3 million people. 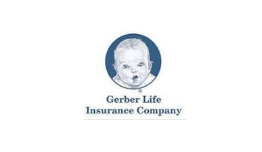 Gerber Life has insurance products available for people at every stage of life. Gerber knows their customers want a strong company that will be there now and in the future. That’s why Gerber Life Insurance is conservatively managed to ensure long-term growth and financial stability. This approach has resulted in assets under management of more than $2 billion with the majority of our portfolio in high-quality investments. Gerber Life Insurance was named one of the Top 50 Performing Life & Health Companies in the U.S. in 2009 by the Ward Group, an operational consulting firm and leading provider of benchmarking services to the insurance industry. This special recognition reflects Ward’s analysis showing that Gerber Life passed all safety and consistency screens and achieved superior performance during the five years analyzed. Further, in June 2012, A.M. Best-the impartial reporting firm that rates insurance companies on financial stability, management and integrity has awarded Gerber Life an “A” (Excellent) rating. The rating refers only to the overall status of the Company and is not a recommendation of specific policy provisions, rates or practices of the Company. This rating is the third highest awarded out of the thirteen possible categories.